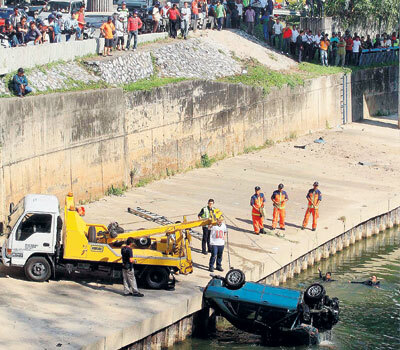 a 30 years old man died after his car drown into Sungai Gombak, somewhere near the Bandaraya LRT Station. Happen at 3:50 am, the driver is about to celebrate his birthday in the same day. tragic.